You are invited to experience the transforming power of the Gospels! Read inside a complete set of reflections on the daily Gospel from the three year cycle of the Roman Catholic Church. 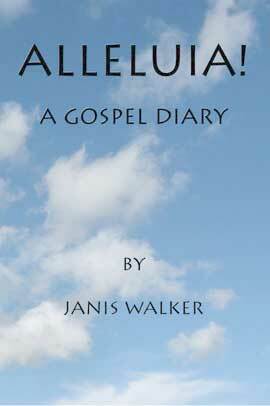 On July 7, 1998, after a noon Mass, Janis began writing personal reflections on the Gospel of the day. These reflections are based on The New American Bible, the translation of the Bible on which the Mass Lectionary is based, with additional references to other translations. Early each morning, coffee in hand, she read through Mass readings for the day, with Francis, her marmalade Gospel-cat, by her side. Then she wrote a short reflection on the Gospel. Janis drew upon her extensive educational background and life experiences to provide insights which you will find illuminating and relevant to your daily life. Three years of reflections and commentary were collected in notebooks, and then compiled into this book. Book size is 6 by 9 by 1.3 inches thick, 688 pages, printed on high quality cremé paper with 12 point Minion Pro typeface.